Set the perfect mood with your Smartphone or Tablet! The ICS-2000 Internet Control Station is the hub of your Trust Smart Home system that lets you wirelessly control lights and appliances with your iPad, iPhone or Android Smartphone/Tablet. 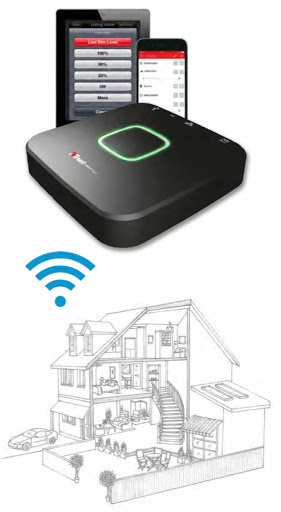 Free app to operate your Trust Smart Home Receivers from anywhere in the world over the internet and at home via WiFi. Control up to 256 lights and appliances with your smartphone or tablet. Guard your house with sensors and get notifications on your Smartphone or Tablet. Programming timers for devices/scenes (incl. identification of sunrise and sunset). Secure encrypted communication between AES-128 and SSL.